Our team works tirelessly to ship millions of Halloween costumes to our customers, but today the celebration was all about them! 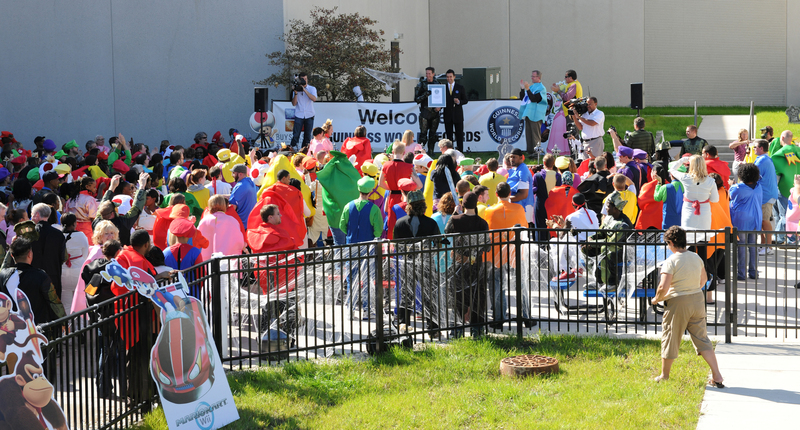 BUYSEASONS, Inc., the parent company for BuyCostumes.com and CelebrateExpress.com broke the Guinness World Record® for most people dressed in costumes of video game characters on October 5, 2011. 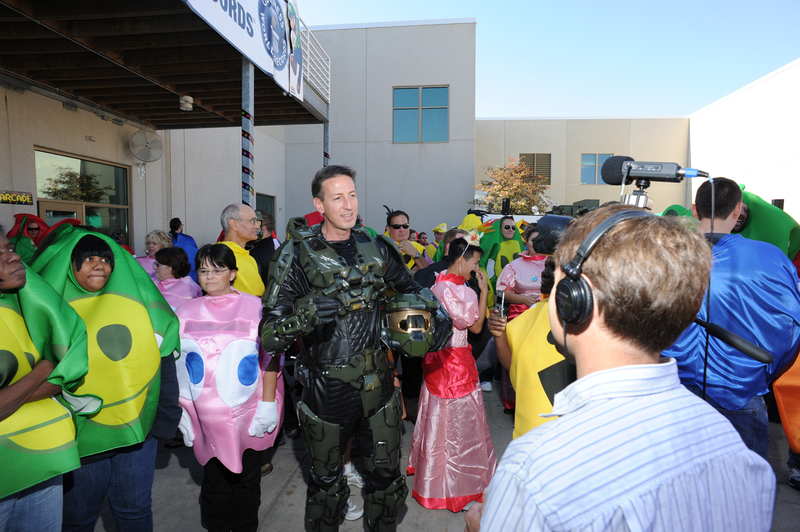 The record was broken with a final count of 425 people dressed in popular costumes such as as Angry Birds, Halo 3, Pac-Man, and Super Mario Bros. 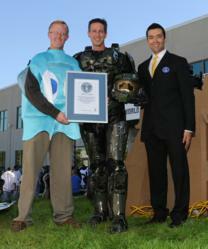 The record attempt took place at the online retailer’s corporate headquarters outside of Milwaukee, Wisconsin. A representative from the Guinness World Records, Mr. Danny Girton Jr., attended to validate the entry and present the Guinness World Record certificate to the company. Video game costumes such as Angry Birds are creating a huge amount of interest for those seeking video game inspired Halloween costumes this season. The company, a leading online retailer of costumes is seeing other major costume trends such as Captain America, Green Lantern, Harry Potter, as well as Pirates, Vampires, Werewolves and Zombies. Founded in 1999, BUYSEASONS, Inc. is the largest online retailer and supplier of costumes, accessories, seasonal décor and party supplies for year-round celebrations and entertaining. BUYSEASONS owns and operates BuyCostumes.com and the Celebrate Express family of websites: BirthdayExpress.com, 1stWishes.com, and CostumeExpress.com, which offers one of the largest assortments of kid’s costumes and birthday party supplies at any single online location. In addition, BUYSEASONS operates a private-label drop ship program for other internet retail partners. BUYSEASONS is a wholly owned subsidiary of Liberty Media Corporation.